Spend money on your vacation, not on getting there. Enterprise Rent-A-Car’s $9.99 weekend special makes it easy for customers to enjoy warmer destinations this spring. Through May 18, 2015, at Enterprise’s neighborhood locations, customers can receive weekend rates of $9.99 per day on economy and compact cars when renting Friday through Monday. This rate also includes 300 free miles per weekend. A recent survey by Enterprise discovered that two-thirds of those planning a spring trip are driving to their destinations vs. flying. And, nearly half of respondents indicated that because of the severe winter weather, they are likely to “get out of dodge” this spring. From now until Wednesday, October 29, Sprouts has EVERY vitamin, supplement and body care product at Sprouts on sale for 25% off. Click here to see your local Sprouts ad. Natural remedies can boost the immune system and help protect against cold and flu symptoms. Check out Sprouts Vitamin Department for a wide variety of herbs, homeopathic remedies, vitamins and supplements that will keep you in fighting form! · Vitamin A – Keeps skin and tissues in the mouth, stomach, intestines and respiratory system healthy. · Vitamin C – The body does not make or store vitamin C, it must be obtained through diet. Its consumption is important for a strong immune system and may contribute to slightly shorter colds and/or somewhat milder symptoms. · Vitamin E – Important nutrient for optimal immune function and protects cells against effects the harmful effect of free radical damage. · Vitamin D – Promotes immune defenses. · Echinacea – Supports a healthy immune system by activating white blood cells. · Boron’s Oscillococcinum – The most popular homeopathic flu remedy on the market, and recommended by doctors around the world. · Sprouts Oregano Oil – A powerful anti-viral that has been found to relieve symptoms of upper respiratory infections. My kids love Stouffer's macaroni & cheese. I will admit that this mom who sometimes doesn't have time to assemble a gourmet meal loves the ease of this meal as well. I was ecstatic to find that Stouffer's and Nestle have an outlet store in Springville right off the freeway. The store sells Lean Cuisine Meals, Stouffer's meals (of all sizes), and Nestle candy at discounted prices. 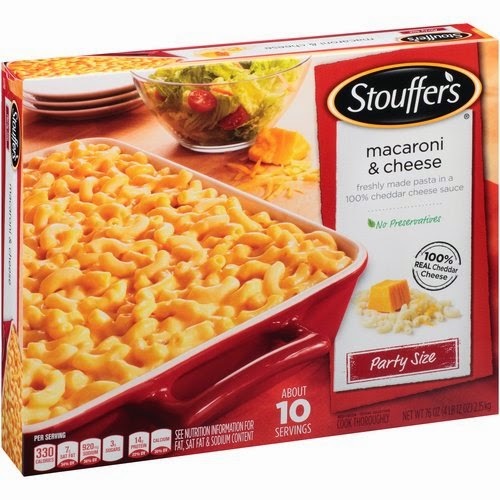 Today I bought Stouffer's 74 ounce party size macaroni and cheese for $4.49. These sell for @ $9- $11 in the grocery store. I also picked up a Party size (96 ounce) 5 cheese lasagna for $9.49. Individual serving size frozen meals ranged from $1.50- $2.00. Nestle Fun Size Candy Bags were 2.49. Smith's has a deal this week that makes their price for the same size bags $1.50 each when you buy 4 bags. I hope this helps others in the area to save money! The Children's Place has outlet stores in Park City and at Traverse Mountain Outlets at the Point of the Mountain (Lehi). The rest of The Children's Place locations are also having great sales as well. Plus there is a 20% off code that you can use online or in the store. The code is listed below. St. Louis, Mo. (Aug. 26, 2014) – Enterprise Rent-A-Car, the world’s largest rental car brand, kicked off the fall travel season by announcing its annual $9.99 per day special weekend rate. The offer begins Sept. 5 and runs through May 18, 2015, at the majority of Enterprise’s U.S. neighborhood locations. Customers can enjoy weekend rates of $9.99 per day on economy and compact cars when renting Friday through Monday. The rate includes 300 free miles per weekend. Similar savings are offered on larger vehicles, and unlimited mileage packages are also available at most locations. Additionally, up to two extra days can be added to the Friday-through-Monday rental at a discounted rate. Programs exclude airport locations. Enterprise operates not only as a key provider for insurance replacement vehicles, weekend getaways and special occasions, but also as a local transportation alternative. For example, many consumers rely on mass transit during the week or simply cannot afford to purchase or maintain a vehicle on their own – so they often depend on local Enterprise rental service and take advantage of its great value. During the summer when heat is the enemy, your air conditioning system is driving the getaway car. Replacing your air conditioning filters monthly gives your AC a break from working so hard to force air through a dirty system. If you use a window unit, a more energy efficient AC unit is worth the investment from an energy-usage standpoint, and can cost as little as $99. Everyone knows using the oven during the summer is a sure-fire way to heat up the house, but did you know that a microwave uses a whopping 2/3 less energy than your stove? Using your microwave or toaster oven will cut back on cooking time and save you money – all while keeping your kitchen cool. Summer get-togethers tend to create more dirty dishes than your kitchen can handle. While it may seem smarter to hand wash each cup and plate, running the dishwasher actually uses less water. A full load of dishes cleaned and set out to dry will save you loads of time and water. Newer, Energy Star-rated dishwashers use less water and energy than older models – and if you’re looking to upgrade a major appliance, hhgregg is currently offering 30 percent off storewide for its Fourth of July sale, now through July 5. Did you know heating water could account for as much as 25 percent of the energy used in your home? Turning your water heater’s thermostat down to 120 degrees Fahrenheit will substantially decrease the amount of energy being soaked up – and it will also lower you and your children’s risk of burn injury from overly hot water. If your home has a large number of appliances and electronics, a power strip will be your saving grace this summer. You will save energy by using a power strip - whether it fuels a single laptop or your entire entertainment system – and shutting it off when you leave for the day. Those appliances won’t be used for the day, so their energy shouldn’t be, either. A powered-down surge protector will greatly reduce standby energy consumption. hhgregg is as an appliance, electronics and furniture retailer committed to providing customers with a truly differentiated purchase experience through superior customer service, knowledgeable sales associates and the highest quality product. We recently moved to Utah which means that I will be sharing deals that I find in my new area. 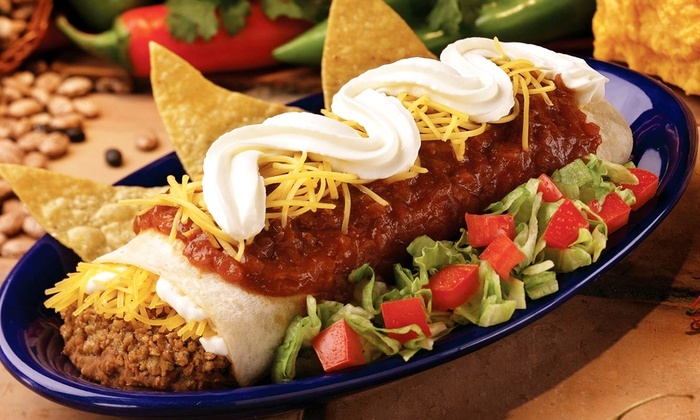 Living in Salem, we were excited to see this deal that can be used at the Taco Time in Payson or Spanish Fork. We live right between the two. Expires 120 days after purchase. Limit 1 per person. Limit 1 per day. Must use full promotional value in 1 visit. Valid only at the Spanish Fork, Nephi, and Payson locations listed. Merchant is solely responsible to purchasers for the care and quality of the advertised goods and services. Click here to find the deal on Groupon. My son's Eagle Scout project/ Diaper Dash 5K 2014 will take place this Saturday, May 3rd. Bring a package or more of unopened diapers to run, walk, or crawl this family friendly 5K in Marana. A pack or more of donated diapers and a signed waiver form enters you into the prize drawing at the end of the race/walk. Prizes include $100 Target Gift Card from United Financial Center, a FREE full tint good for a small 4 door sedan from A Cut Above Auto Glass & Tint (Valued $120), Certificate for 1 month of unlimited jump time at AZ Air Time, $50 Gift Card to your choice of either Olive Garden or Red Lobster, $50 Gift Certificate to Bookmans, QT Gift Cards, dinners for 2 from Chuy's, Texas Roadhouse, and Cracker Barrel, and much much more. We have over 50 prizes with more coming in each day. Two Men and a Truck will be there to transport diapers to the Diaper Bank. There are drop off locations all around the Tucson area for those who can't make it but would still like to help. Tucson, AZ, [April 21,2014] The prize at the end of the May 3 finish line at the Diaper Dash 5K at Gladden Farms Park in Marana will be diapers, lots of diapers for thousands for Southern Arizonans in need. The benefit for the Diaper Bank of Southern Arizona is the brainchild of Devan Ashcraft, who wanted to do something different for his Eagle Scout project. Devan and his parents took his idea to the Town of Marana and got approval to put together the town’s first Diaper Dash: Run, Walk, Crawl. "I am hoping that enough people will bring diapers to help meet the huge need in Southern Arizona,” said Devan Ashcraft, he noted that even if people didn’t want to participate in the Dash, he hopes they will still bring diapers. He became aware of how expensive diapers were after his little brother was born and started to wonder how low-income families were able to obtain the diapers and baby supplies they needed for their infants. As he pondered what he could do for his Eagle Scout project these struggling families returned to his mind. 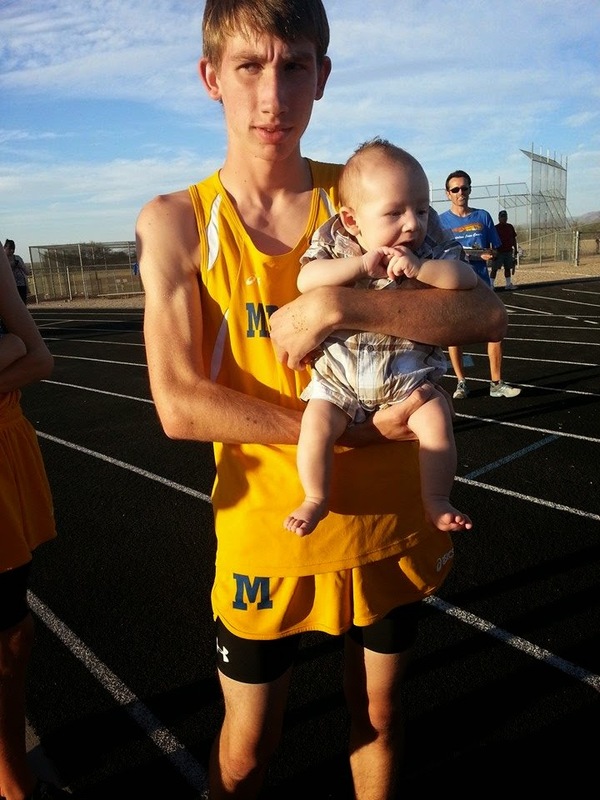 Having participated in benefit runs for the Marana Food Bank, this varsity cross country and track runner, decided that a 5K Diaper Dash would be the answer. With the help of fellow scouts and leaders from Troop 223 and members of his congregation of The Church Jesus Christ of Latter-day Saints, the Marana High School freshmen said he hopes this will be a huge success and become an annual event. Registration for the Diaper Dash 5K is from 6:30 a.m. to 7:30 a.m. Saturday, May 3 and the race starts at 8 a.m. at Gladden Farms Community Park, 12250 North Tangerine Road, Marana. Cost of registration is one or more unopened packages of diapers, particularly in sizes 4, 5, 6, 3T, 4T and adult incontinence pull-up and briefs. Diaper need is a very real social ill that causes physical and emotional problems, including shame and guilt for parents and severe diaper rash and urinary tract infections for babies left in diapers too long. Presently 1 of 3 American mothers report not having an adequate supply of diapers, 48 percent of families report leaving babies in soiled diapers for extended periods of time and 33 percent report reusing soiled diapers. The average cost per child per month is $100 for an adequate supply of diapers. Families report often choosing between buying food and buying diapers. The Diaper Bank of Southern Arizona distributed almost 650,000 diapers and incontinence supplies through its 50 plus partner agencies last year, however, the need is closer to 1.5 million annually throughout Southern Arizona. To find out more about the Diaper Bank and where to drop off diapers all year long visit www.diaperbank.org If you would like more information about this topic, please email Stephanie Ashcraft at ashcraftsteph@yahoo.com.